I have a Hyper-V Server (2012) it hosts 5 virtual machines, the server is has 2 power supplies, (redundant) each power supply is connected to an older APC Smart-UPS 1500, Each Smart UPS is connected /powered by a different circuit. 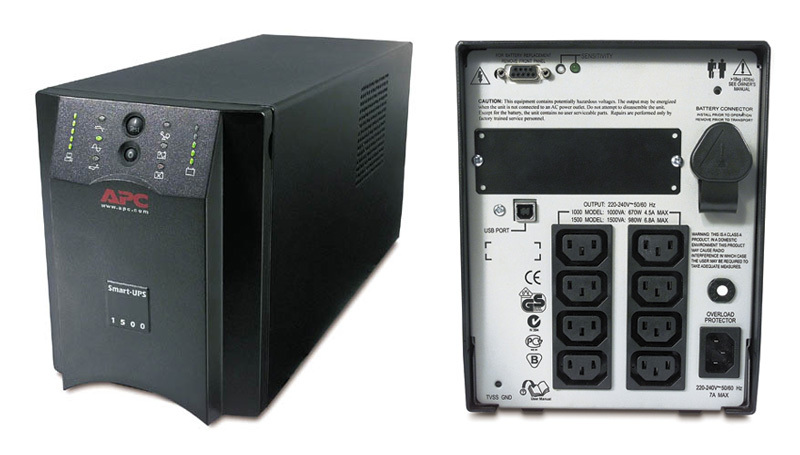 Each SMART-UPS has a USB output which connects to the sever. HyperV VM's do not support USB, but the host does. Can I install the powerchute software on the VM host to properly monitor and shutdown the servers? which are hosted on the VM and then ultimately shutdown the HyperV server (host)? all being managed though the agent on another PC? So far I have tried to install powerchut 9 but I get stuck claiming that the OS is not supported. What are my options? there is no network management on these. You need to purchase network management cards for the UPS and then you can install PowerChute Network Shutdown for Hyper-V and configured for redundant UPS. See Application Note 98 that discusses how to set this configuration up.